The state of Arizona has no formal training approval process, at this time. 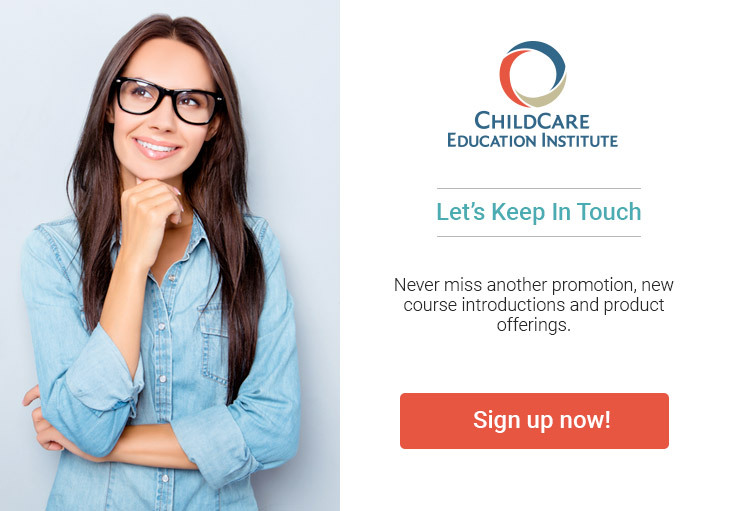 Based on the definition of training in Title 9, Chapter, Section R9-5-101 of the Arizona Administrative Code, ChildCare Education Institute (CCEI) training may be accepted to meet annual in-service training requirements established by the Arizona Division of Licensing Services, Office of Child Care Licensing. For additional information regarding the acceptance of CCEI’s coursework in Arizona, visit http://www.azdhs.gov/als/childcare/ or contact the Office of Child Care Licensing at 602.364.2539. CCEI is an approved Training Sponsoring Agency with the Arizona Early Childhood Workforce Registry. For more information contact the registry at info@thearizonaregistry.org.